Uèitelská pøíruèka k uèebnici English World úroveò 1. English World is a stunningly visual ten-level course which will take children through from primary to secondary. Written by the authors of best-sellers Way Ahead and Macmillan English, English World combines best practice methodology with innovative new features for the modern classroom. Active whole-class learning is supported by vibrant posters and interactive activities on the DVD-ROM. Thorough grammar and skills work is applied in natural contexts in the real world, through dialogues and cross-curricular material. 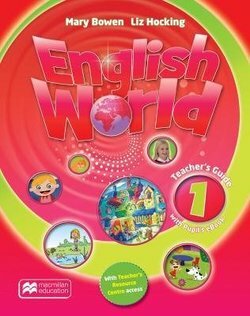 English World provides a complete package for today's teachers and pupils. Každý nákup se u nás vyplatí! Za každý kus získáte bodù: 6 kreditních bodù!